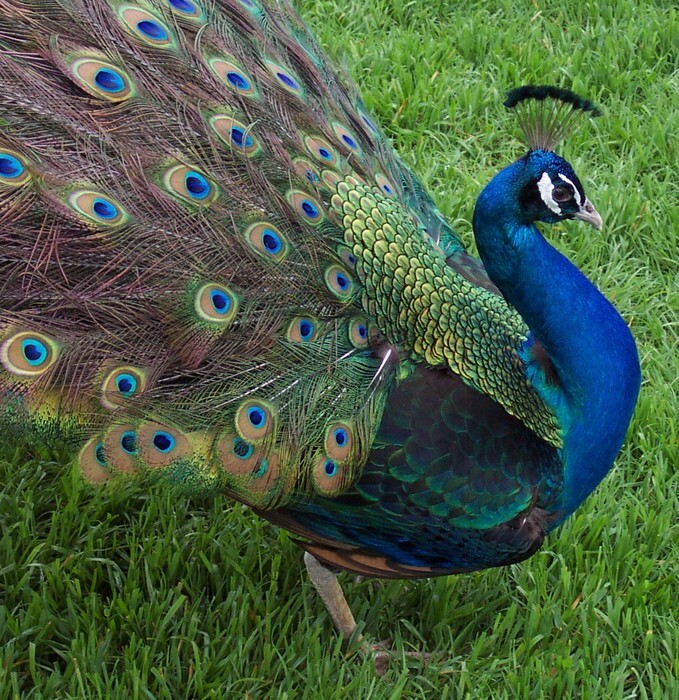 peacocks are beautiful.they have beautiful fethers . Peacock's are kind of a show off. PEACOCKS LIVE IN PAKISTAN,SRI LANKA,AND INDIA. THEY EAT : ANTS, WORMS, PLANTS (GRASS, FLOWER PARTS: ROOTS, STEM, LEAVES, PETALS. ), BARRIES , SMALL SNAKES, MAMMALS,LIZARDS.THIER SHELLTERS ARE CAVES, TREES,AND MORE!!!!!!!!!!!!!!!!!!!!!!!!!!!!!!!!!!!!!!!! PEACOCKS FIRST START OFF AS A PEACHICK . THEN THEY BECOME A BEAUTIFUL/HANDSOME PEACOCK. THE MALE SPRED OUT THEIR WINGS TO ATRACT FEMALES . THEN THEY BECOME AN ADULT PEACOCK AND THEY CAN HAVE THE LIFE CYCLE.